On the occasion of Basant Panchami, the festival celebrating the spring season, President Ram Nath Kovind and Prime Minister Narendra Modi on Sunday extended their greetings to people of the country. 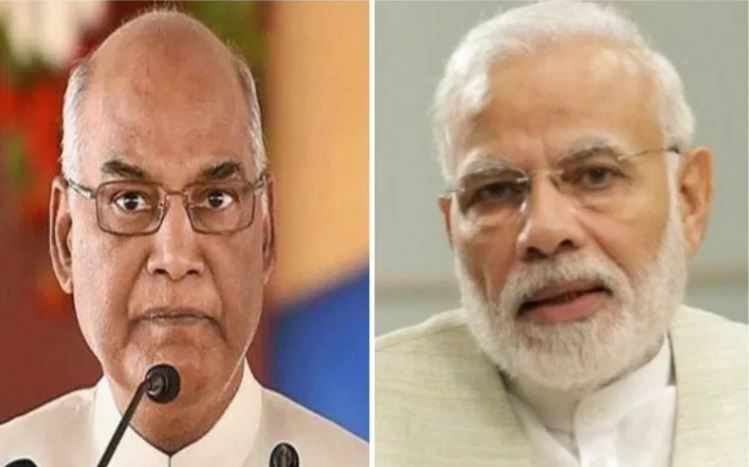 New Delhi: On the occasion of Basant Panchami, the festival celebrating the spring season, President Ram Nath Kovind and Prime Minister Narendra Modi on Sunday extended their greetings to people of the country. Both leaders took to micro-blogging site Twitter to wish the nation on the joyous occasion. “Greetings to fellow citizens on Basant Panchami, Sri Panchami, and Saraswati Puja. May this festive occasion, which heralds’ spring and celebrates learning, spur us to expand the frontiers of education and knowledge in our families, our society and our country,” President Kovind said. “Many greetings to citizens on the festival which symbolises new energy, new ambition and new vigor-Basant Panchami. I wish that Goddess of learning mother Saraswati will provide knowledge and goodwill to all,” he tweeted. The day is also dedicated to the goddess of knowledge, arts and music, Saraswati, who is worshipped on this day. The festival of Basant Panchami also marks the third 'Shahi Snan' (holy dip) of various akharas at the ongoing Kumbh Mela at Prayagraj in Uttar Pradesh. A large number of devotees thronged the Ghats here at the confluence of rivers Ganga, Yamuna the mythical Saraswati to take a dip in the holy waters on this religiously significant occasion. As a part of the'Shahi Snan', sadhus or seers belonging to 13 Akharas took a dip in the waters of the Ganges near the Mela spot. The Kumbh Mela is the largest human congregation in the world, and pilgrims participate in the festival with the belief that taking a dip in the holy Ganges will pave the way for their salvation and would rid them of their sins. In Varanasi also, thousands of devotees thronged the ghats of Ganga to mark the occasion. Meanwhile, Basant Panchami is being celebrated across the nation today with religious fervor and traditional gaiety. On this day, many people revere Goddess Saraswati and seek her blessings for prosperity in their wisdom and knowledge.